is an editor at Columbia Journalism Review where she focuses on science, medicine, the environment and technology. Her work has appeared in Mother Jones, Wired and Popular Mechanics, among other publications. She lives in New York City. Midway through the pilot episode of The Knick, a Cinemax TV series set in a Manhattan hospital circa 1900, we find the protagonist, John Thackery, the hospital’s chief of surgery, in crisis. Thackery, we are to believe, is brilliant but tortured, and is in the midst of cocaine withdrawal when he’s called to perform emergency life-saving bowel surgery. A quick injection later, he’s centre-stage in the surgical theatre, quipping with the audience as he removes an infected chunk of intestine. He is the perfect surgical hero: single-handedly conquering disease; celebrated by an awe-filled crowd. The joke belied her frustration. Doctors don’t begin to specialise until their fourth year but, according to my sister, those who intended to pursue a surgical career had already begun to stick out in their first year of medical school. They travelled in a pack, attending optional surgical rotations in the morning and leaving their white coats on for afternoon class. They were the first to volunteer for dissection, and the last to answer basic science questions during drills. ‘They’re the frat boys of medical school,’ my sister griped to me over the phone. A divide had emerged: between the surgeons, whose ability to solve problems was lauded by the public, and the rest of the medical establishment, whose ability to analyse data and diagnose was valued within. More than any other kind of healing, surgery offers the promise of concrete physical restoration. Surgeons transplant organs, replace hips, clear blocked arteries – fixing problems and allowing patients the possibility of re-plumbed health. These procedures are costly, which is why surgeons earn top salaries; they are the hospital’s cash cow. It’s a literal comparison; while medicine sprung from the academy, surgery originates with tradesmen. In the Middle Ages, ‘barber-surgeons’, who had knives and razors at the ready, performed bare-bones amputations and tooth extraction alongside haircuts. Becoming a doctor called for university training, but surgery – requiring less skill – was passed down by apprenticeship. Even women, barred from becoming physicians until the 20th century, could train as surgeons. Low rank is implicit even in the title, surgeon, which is derived from the combination of the Greek words for ‘hand’ and ‘work’. Surgery’s place at the bottom of the medical hierarchy can be attributed to the crude cruelty of early surgical procedures. Before anaesthesia and antibacterials, a patient undergoing surgery could be assured of two things: immense pain and the likelihood of infection and death. It takes audacity to operate under these conditions. To mitigate the agony, surgeons worked for speed rather than precision. Sir Robert Liston, a well-known 19th-century surgeon, could amputate a leg in as little as 30 seconds – skills he would demonstrate by having students time his procedures in the surgical theatre at the University College Hospital in London. According to Richard Hollingham’s Blood and Guts: A History of Surgery (2008), Liston worked so quickly he once removed an assistant’s fingers along with a patient’s leg. Both died of sepsis. At the end of the 19th century, first ether, then chloroform, allowed surgical intervention to blossom. The combination of anesthetics and antiseptics spurred startling advances, opening up the inner recess of the human body from the organs, to the heart and, finally, the brain. During the first few decades of the 20th century, papers on surgery dominated The New England Journal of Medicine. As surgery has become more routine, the image of the macho, outsize personality required to carve into a human body remains fixed in the popular mind. One meta-analysis in 2014 of the language used to describe surgery in academic papers found frequent use of masculine terms, alongside metaphors of the surgeon as a cowboy or hero, combatting disease with a scalpel. As Bosk notes, though surgeons use words such as ‘matador’ and ‘gunslinger’ to describe heady, trigger-happy cutters, the terms were often taken as compliments. ‘After all, in their respective cultures, such figures symbolise the heroic ideal,’ he writes. This might be why, even as women have entered medicine, surgical specialties remain segregated. According to one study in 2014 of surgical trainees, women reported that ‘they lacked the hyper-masculine attributes that they associated with successful surgeons’, and were more likely to be professionally dissatisfied than men. The act of surgery seems to court this language. 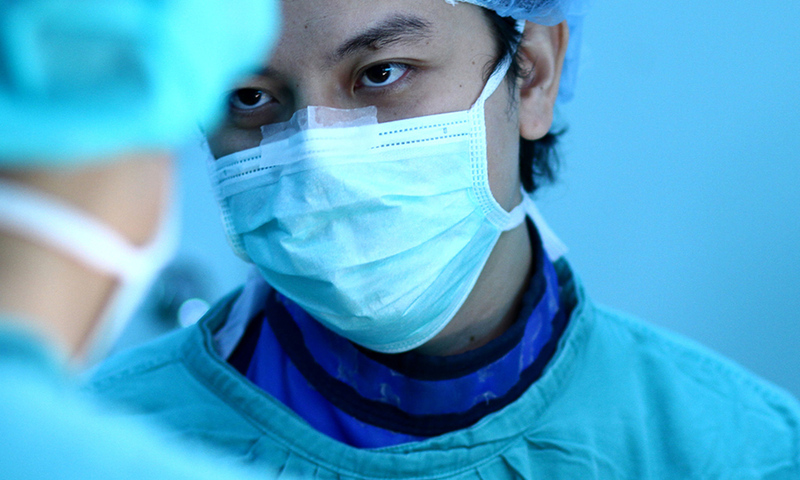 An operation is performed within a distinctly macho context: a showdown between disease and individual doctor, leading a team through authoritative decision-making. Surgeons are valued for their ability to execute, not analyse. Which is why, as evidence-based medicine has become increasingly the standard of discovery, surgeons have not risen to the top of scientific enquiry. Since the 1950s, laboratory science has increasingly been the origin of medical innovation. Which is why, over the past four decades, merely a 10th of the articles published in The New England Journal of Medicine have covered surgical innovation. Atul Gawande, a surgeon and staff writer for The New Yorker, implored his peers to place increasing emphasis on diagnostics rather than skill, in a lecture delivered to the Association for Surgical Education in 2001. ‘We are doctors, not technicians,’ urged Gawande, even though for the rest of the world, being a technician might be glamorous enough.